With a Master of Food Safety and Quality, you will play a key role in managing food safety and quality in any food manufacturing company. Food safety and quality are essential to the success of all food manufacturing companies and critical for New Zealand’s economic success. Why? Because food manufacturers need absolute confidence in the safety and quality of their products. To work in this exciting field, students can choose to study full time or part time with a programme supported with an on-line learning environment. Internationally, food safety is a growth industry. Food companies have a growing need for expertise in food safety and quality. If they do not have this expertise themselves, consultants with the relevant qualifications provide them with services. You have the opportunity to start your own consultancy business or to work for the government department overseeing food safety in your country. In New Zealand, the government department is the Ministry for Primary Industries. Massey University is ranked as one of the top 50 universities worldwide for Food Science & Technology (out of 300), according to ShanghaiRanking's Global Ranking of Academic Subjects. We have been producing highly-skilled graduates for the New Zealand and international food industries for more than 50 years. The lecturers have extensive industry experience supported by a strong academic research base. Massey University also hosts the New Zealand Food Safety Centre with access to the latest expertise in food safety. The Master in Food Safety and Quality provides practical skills and a depth of knowledge to enable you to manage problems in food manufacturing and develop preventative tools designed to provide confidence in the quality and safety of food. Massey guarantees you research expertise in meat, fish and dairy technology, fruit and vegetable postharvest storage and processing, food formulation, additives and ingredients. Postgraduate study is hugely regarding and empowering. The Master of Food Safety and Quality will push you to produce your best creative, strategic and theoretical ideas. Our experts are there to guide you as you undertake in-depth and independent study to prepare you for a senior technical or consultancy role in the food industry. Postgraduate study is not just ‘more of the same’ undergraduate study. It takes you to a new level of knowledge and expertise, especially in planning and undertaking research. Graduates of Massey’s Master of Food Safety and Quality have many opportunities to capitalise on the demands of the global food industry. There is steady growth internationally for experts in the management of food safety and quality in government departments, the food industry, and in consultancy and regulatory organisations. These significant careers span auditing, crisis management, training and establishing risk management systems. With a Massey Master of Food Safety and Quality, you can expect to launch your career at a reasonably high level of responsibility in a leadership role. The programme gives you the potential to lead to senior management roles or establishing your own business as a consultant. The Massey Master of Food Safety and Quality positions you to deal with new challenges and develop smart solutions for tomorrow’s problems. The food industry is dynamic and with that comes the need for research in innovative and effective methods in food assurance. 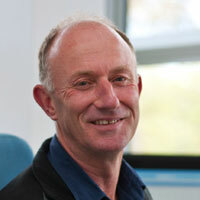 Steve leads a team of research students investigating topical issues relating to food safety and quality. He has a distinguished career spanning 20 years working for the dairy industry and has an insider’s knowledge of the real issues facing food manufacturers. This guarantees you partner with staff that have a depth of practical, hands-on experience unlike anywhere else. Their expertise is comprehensive, drawing on several scientific and technological disciplines.